Mark McBride Hileman graduated for the Texas Tech University College of Architecture in 1970. During college and in the following years, various galleries represented his paintings and sculptures. 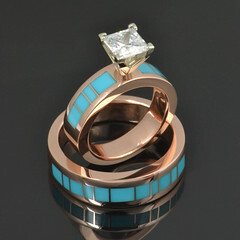 Mark began making jewelry in 1974; the same year he opened his architectural office in Scottsdale, Arizona. 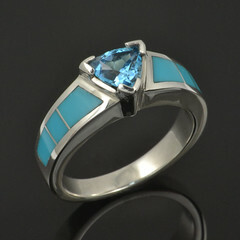 The sculptural shapes and use of vibrant inlay color in his jewelry designs are an expansion and blending of his diverse artistic backgrounds. Although Mark’s designs have evolved, his design philosophy has remained the same. Simplicity. Always searching for what is essential and beautiful, whether that be geometrical shapes or flowing curves. Jewelry is mankind’s most basic adornment. Jewelry is the vision of the artist, transformed by the person that wears it. This art form becomes an unspoken projection of each individual’s personality. 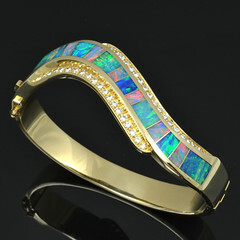 The sophisticated uses of opal, precious and semi-precious stones and the unsurpassed precision and quality of the inlay are the hallmarks of his work. Every piece of Hileman jewelry is handcrafted using the finest materials and craftsmanship from The Hileman Collection studio in Arizona. Mark’s sons, John and Matthew, are involved every day in various aspects of the jewelry making- culminating in a unified effort for perfection in every piece of jewelry created.